The United States and China have developed competing visions for reviving ancient trade routes connecting Asia and Europe. The U.S. diplomatic strategy focuses on Afghanistan, while China hopes to economically integrate Central and South Asia. India and Russia also have regional ambitions. 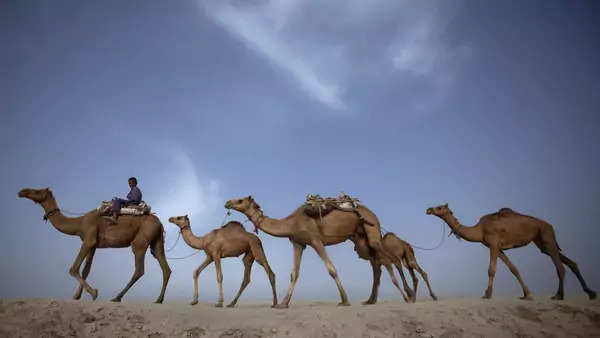 More than two thousand years ago, China’s Han Dynasty launched the Silk Road, a sprawling network of commerce that linked South and Central Asia with the Middle East and Europe. Today, the idea of a "New Silk Road," an intertwined set of economic integration initiatives seeking to link East and Central Asia, has taken hold in the United States and China—for very different reasons. In 2011, the United States launched its vision of greater Central Asian economic and infrastructure integration in the hopes of supporting political stability as it withdrew from Afghanistan. By 2013, Chinese President Xi Jinping was assertively articulating his own vision for a China-led Silk Road that would streamline foreign trade, ensure stable energy supplies, promote Asian infrastructure development, and consolidate Beijing’s regional influence. It remains to be seen if the United States and China will clash over their competing plans for developing energy resources in Central Asia’s Turkmenistan, creating infrastructure in Pakistan, or winning political influence with local governments throughout Asia. Other Asian powers like India and Russia, meanwhile, are seeking to define their own approach to regional integration. While these ambitious projects hold the potential to reshape one of the world’s least integrated areas, all must contend with local rivalries, logistical roadblocks, security risks, and political uncertainty. The original Silk Road came into being during the westward expansion of China’s Han Dynasty (206 BC–220 AD), which forged trade networks throughout what are today the Central Asian countries of Kyrgyzstan, Tajikistan, Kazakhstan, Uzbekistan, Turkmenistan, and Afghanistan, as well as modern-day Pakistan and India to the south. Those routes eventually extended over four thousand miles to Europe. Central Asia was thus the epicenter of one of the first waves of globalization, connecting eastern and western markets, spurring immense wealth, and intermixing cultural and religious traditions. Valuable Chinese silk, spices, jade, and other goods moved west while China received gold and other precious metals, ivory, and glass products. The route peaked during the first millennium, under the leadership of first the Roman and then Byzantine Empires, and the Tang dynasty (618–907) in China. Central Asia was the epicenter of one of the first waves of globalization, connecting eastern and western markets. But the Crusades, as well as advances by the Mongols in Central Asia, dampened trade. By the sixteenth century, Asian commerce with Europe had largely shifted to maritime trade routes, which were cheaper and faster. Today, Central Asian countries are economically isolated, with intra-regional trade making up just 6.2 percent of all cross-border commerce. They are also heavily dependent on Russia, particularly remittances—which dropped 15 percent in 2014 due to Russia’s economic woes. What is the U.S. vision for the New Silk Road? For the United States, the New Silk Road refers to a suite of joint investment projects and regional trade blocs that have the potential to bring economic growth and stability to Central Asia. Following the surge of thirty thousand additional troops into Afghanistan in 2009, which President Barack Obama’s administration had hoped would lay the groundwork for complete withdrawal a few years later, Washington began to lay out a strategy for supporting these initiatives through diplomatic means. These plans emphasized the need for Afghanistan to build an economy independent of foreign assistance. As then-Deputy Secretary of State William Burns outlined in a major 2014 policy address, a centerpiece of the U.S. strategy has been building a regional energy market for Central Asia. More than 1.6 billion consumers in India, Pakistan, and the rest of South Asia are increasingly demanding energy supplies of the kind that Kazakhstan or Turkmenistan, with their hydropower and natural gas reserves, are capable of providing. A crucial next phase will be connecting private-sector investment and entrepreneurship in Afghanistan and Pakistan, says former Ambassador Marc Grossman, who served as the U.S. Special Representative to Afghanistan and Pakistan from 2011 to 2012. Grossman points to the potential for export industries like Afghani fruit and Pakistani cement that are currently restricted by trade barriers. What are the major U.S. initiatives in Central Asia? The proposed Turkmenistan-Afghanistan-Pakistan-India (TAPI) gas pipeline, which could provide major economic dividends to Afghanistan, has been a focus of U.S. policy. Turkmenistan is home to the world’s second-largest deposit of natural gas, and the TAPI would allow it to diversify its exports away from China by delivering energy to India and Pakistan. But the $10 billion project has been repeatedly delayed by difficulties in securing investors. Without the possibility of an equity stake, which Turkmenistan has refused to allow for foreign companies, major Western oil companies have so far balked at the project. "It really comes down to how serious the Turkmen government is," says David Goldwyn, former State Department special envoy for international energy affairs. In addition to the $1.7 billion that the United States has directed toward energy projects in Afghanistan since 2010, the State Department has spent over $2 billion to build some 1,800 miles of national roadways. That is a small fraction of the $62 billion the U.S. has spent on the Afghan security forces. In 2011, the U.S. Agency for International Development (USAID), helped create the Almaty Consensus, a "Regional Cooperation Framework" among Central Asian nations. Its projects include reducing trade barriers, developing export capacity, and supporting World Trade Organization (WTO) accession for Afghanistan. These initiatives include the Cross-Border Transport Accord (CBTA) between Afghanistan, Tajikistan, and Kazakhstan, the CASA-1000 electricity grid, which would allow Tajikistan and Kyrgyzstan to transmit hydropower electricity to consumers in Afghanistan and Pakistan, and the Transit-Trade Agreement to allow Afghanistan to export goods duty-free into Pakistan. The United States committed $15 million to the CASA-1000 project, but its role—in contrast to China’s tens of billions of direct investments in Central Asia—is largely to facilitate these efforts diplomatically. What are China’s plans for its own New Silk Road? China has multiple reasons for pursuing the New Silk Road. Xi has promoted a vision of a more assertive China, while the "new normal" of slowing growth puts pressure on the country’s leadership to open new markets for its consumer goods and excess industrial capacity. Promoting economic development in the troubled western province of Xinjiang, where separatist violence has been on the upswing, is another major concern, as is securing long-term energy supplies. China’s strategy is conceived as a two-pronged effort. The first focuses on overland infrastructure development through Central Asia—the "Silk Road Economic Belt"—while the second foresees the expansion of maritime shipping routes through the Indian Ocean and the Persian Gulf—the "Maritime Silk Road." In 2013, Xi told an audience in Kazakhstan that he wants to create a vast network of railways, energy pipelines, highways, and streamlined border crossings, both westward—through the mountainous former Soviet republics—and southward, toward Pakistan, India, and the rest of Southeast Asia. Such a network would also expand the international use of Chinese currency, the renminbi, in transactions throughout the region, while new infrastructure could "break the bottleneck in Asian connectivity," according to Xi. The Asian Development Bank, highlighting the need for more such investments, estimates that the region faces a yearly infrastructure financing shortfall of nearly $800 billion. Xi subsequently announced plans for the maritime silk road at the 2013 summit of the Association of Southeast Asian Nations (ASEAN) in Indonesia. To accommodate expanding maritime trade traffic, China will invest in port development throughout the Indian Ocean, in Bangladesh, Sri Lanka, the Maldives, and Pakistan. What are China’s initiatives in the region? In 2014, Xi concluded deals worth $30 billion with Kazakhstan, $15 billion with Uzbekistan, and $3 billion with Kyrgyzstan, in addition to spending $1.4 billion to help revamp the port of Colombo, in Sri Lanka. By November 2014, China had announced the creation of a $40 billion Silk Road Fund. In 2015 China finalized plans for the Asian Infrastructure Investment Bank (AIIB), which aims for $100 billion in initial capital. Despite opposition from the United States, the AIIB attracted fifty-seven founding members, including U.S. allies such as the United Kingdom, Germany, and Australia. The negative U.S. reaction to the AIIB underscores the extent to which some U.S. policymakers fear that China’s efforts will undercut Western institutions like the World Bank and expand the influence of the China-led Shanghai Cooperation Organization (SCO), a regional security and economic pact. Xi has promoted a vision of a more assertive China, while slowing growth puts pressure on the country's leadership. For Goldwyn, these fears are overblown. "[The AIIB] will make those countries less dependent and less vulnerable to Russia, which has been a central focus of U.S. policy for decades. And it will bring an enormous amount of capital into this region and others at a time when it seems to be pretty scarce," he says. What is India’s vision for regional integration? Since taking office in 2014, Prime Minister Narendra Modi has energetically pursued outreach to India’s neighbors. As CFR Senior Fellow Alyssa Ayres writes, this includes unprecedented engagement with Afghanistan, Bangladesh, Pakistan, and Sri Lanka. Meanwhile, Modi has forged closer relations with the United States, finalizing a new Joint Strategic Vision during an historic visit from President Barack Obama in January 2015. As the fifth-largest donor to Afghanistan’s reconstruction, India has played a leading role in supporting the U.S.-led efforts, spending more than $2 billion over the past decade. Yet persistent territorial disputes have complicated deeper integration between India and its neighbors. Its borders with China have been unsettled since the two countries went to war over a disputed Himalayan border in 1962. India-Pakistan relations have been fraught since independence in 1947, and trade barriers persist between them, sowing doubt over the ability of the two countries to undertake the kind of joint projects, like the TAPI pipeline, foreseen by the U.S. Silk Road strategy. To the east, Modi has renewed the push to normalize India’s border with Bangladesh, a move that Ayres says could position India as a gateway to Southeast Asia. Modi won a major breakthrough in this area with the May 2015 passage of the Land Boundary Agreement by the Indian parliament, which would address many of these issues. It’s an unusual work in progress, the relationship between China, India, and Pakistan. While China has expressed reservations over the deepening of India-U.S. relations, policymakers in New Delhi have long been unsettled by China’s embrace of Pakistan. In April 2015 China’s Xi announced a massive $46 billion investment plan for Pakistani energy and transport infrastructure. This so-called China-Pakistan Economic Corridor (CPEC) aims to link Pakistan’s Indian Ocean port of Gwadar (now under Chinese management) to the western Chinese province of Xinjiang. Concern has also grown in India over Chinese investment in Sri Lanka, where China has expanded military as well as economic cooperation. Still, India was a founding member of the AIIB, and Modi and Xi have personally invested in developing closer diplomatic ties. "It’s an unusual work in progress, the relationship between China, India, and Pakistan," says Ayres. What are the potential roadblocks to building the New Silk Road? China’s ambitions have already run into local opposition. In Myanmar, popular pressure stalled a planned $20 billion railway between the Myanmar city of Kyaukpyu and Kunming in China over anger that locals weren’t consulted on the project. Similarly, the newly elected government in Sri Lanka is subjecting the previous administration’s investment deals with China—which were shrouded in secrecy—to additional scrutiny. For both the United States and China, Central Asian infrastructure projects face unforgiving terrain through steep mountain passes, as well as threats from armed militants. Separatist attacks in China’s Xinjiang and Pakistan’s Balochistan provinces as well as a resurgent Taliban in Afghanistan are constant worries. Afghanistan in particular has now endured decades of civil strife and foreign intervention, and the country’s ability to shift from a war footing to embrace ambitious commercial projects will be central to the success or failure of the U.S. Silk Road strategy. Grossman says that an even bigger challenge is rule of law. "Yes, the security situation is a challenge," says Grossman, but "American CEOs would say, ’is there enough rule of law to make an investment’?" While the TAPI pipeline is held up by Turkmenistan, the CASA-1000 energy grid has drawn the ire of Uzbekistan’s president over concerns it will disrupt the country’s water supply, and faces an uncertain future. Finally, it remains to be seen how Russia’s ambitions in its own "near abroad" in Central Asia will intersect with U.S. and Chinese efforts. With U.S.-Russia relations at their lowest point since the end of the Cold War, Russia has pursued its own regional integration efforts through the Eurasian Economic Union, which unites the economies of Russia, Kazakhstan, Belarus, and Armenia. China, too, is increasingly competing with Russia—displacing Russian investment and energy ties in Turkmenistan, Uzbekistan, and Kazakhstan—potentially ratcheting up tensions between Beijing and Moscow in the coming years. This Backgrounder is part of a CFR project on the New Geopolitics of China, India, and Pakistan, supported in part by a generous grant from the MacArthur Foundation. This 2015 article by Jacob Stokes in Foreign Affairs details the Chinese strategy for regional integration in Central and South Asia. Former Ambassador Marc Grossman elaborates on the State Department’s 2011–2012 development of the U.S. New Silk Road strategy in the Yale Journal of International Affairs. CFR Senior Fellow Alyssa Ayres analyzes the opening efforts of India’s newly elected Prime Minister Narendra Modi in this 2014 article. This European Union Institute for Security Studies Policy Brief investigates China’s New Silk Road strategy and its implications for other regional powers. This Wilson Center program brings together experts from the State Department and the policy community to discuss the post-2014 future of the U.S. New Silk Road initiatives.